ASIC is the government body that is responsible for regulating Australia’s corporate, markets and financial services. They ensure that Australia’s financial markets are fair and transparent and that consumers and investors are well informed. Following is the ASIC education material posted on FTfs. 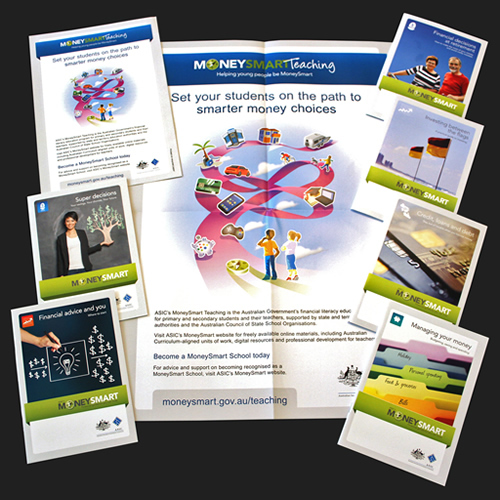 A colourful classroom poster and a four-page information brochure about ASIC’s free MoneySmart Teaching program that includes professional development and teaching resources. ASIC’s comprehensive strategy to develop consumer and financial literacy capabilities in young Australians. 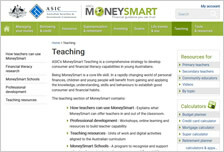 Resources for teachers include units of work, digital activities, and ‘MoneySmart Schools’ – a program to assist teachers to implement consumer and financial literacy education.